Hey everyone! Samantha here with another project for you. Since this week's weekly challenge is particularly challenging, I thought I would give you another project idea. There is still time to enter for this week, so get that project ready and show us what you can think up! Yep, you guessed it. . . those flowers were AIRBRUSHED! Let me say it again in case you don't already know. . . I LOVE THE COPIC AIRBRUSH SYSTEM! It is one of my most favorite things about Copics. If you don't yet own one or haven't tried you, you need to! They are so neat! BGG72, BG75, and BG78. I just started with my lightest color and added the darker two colors in small amounts to give the flowers a slight variation in shading. I didn't want them to look all flat and boring. 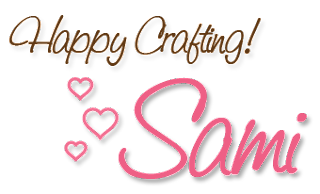 To create my banner, I used some of my favorite SP and Company stamps: Pretty Pendants stamp set, and Kokimo Background. 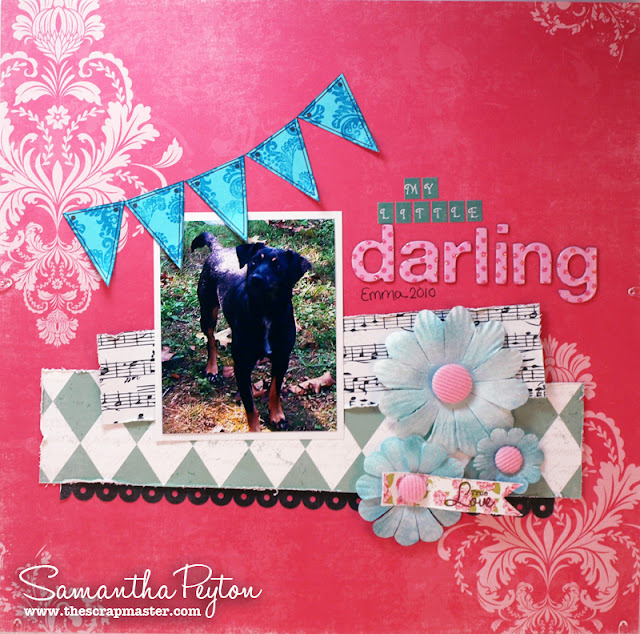 I also used the lovely Bold Sentiments I stamp set to create the sentiment on the banner coming out of one flower. The little pup in the photo has definitely got my true love. Well that is all I have for you all today. Make sure to play along this week and I will see y'all back here tomorrow for the winner announcement. Wow! This is a gorgeous layout! The flowers look fabulous. Love all the texture, too. I love this LO, it's adorable!